Oviedo, Fla. (June 13, 2018) – Continuing a well-established program, Duda Farm Fresh Foods is entering its 16th summer of bringing imported citrus into the United States. New this year, Cara Caras join the citrus line-up of easy peelers – to include clementines and mandarins – navels and lemons sold under the Dandy® label available now through late October. Oviedo, Fla. (May 2, 2018) – Chef Todd Fisher, culinary ambassador for Duda Farm Fresh Foods, achieved his 26-year-old dream of cooking at the James Beard House this past March and had the chance to recreate this culinary adventure earlier this month. Following the New York event’s success, Chef Todd and his team recreated the James Beard House experience on the Monterey Peninsula with The James Beard Foundation Experience – Carmel by Land & Sea held at Seventh & Dolores Steakhouse. Oviedo, Fla. (Feb. 28, 2018) – As innovators in the convenient snacking and meal solution category, Duda Farm Fresh Foods is proud to debut its newly designed Super Sweet Corn product line at the annual Southeastern Produce Council – Southern Exposure in Tampa, Fla. Transforming the well-established corn program, Duda is introducing the first 100 percent recyclable packaging with its new fiber board tray packs. Oviedo, Fla. (Oct. 17, 2017) – Consumers seeking recipe inspiration and information about their favorite fruits and vegetables have a new resource thanks to Duda Farm Fresh Foods. The brand is proud to announce its user-friendly and fully redesigned website, updated with a fresh look and feel. Oviedo, Fla. (Sept. 21, 2017) – Duda Farm Fresh Foods completed its 12-week consumer promotion, The Snack League, and is awarding sponsorships to five youth baseball and softball teams around the country. The family-centric company worked in tandem with The Produce Mom to create content for a grand-slam sweepstakes focused on generating excitement around healthy eating during the busy spring ball practice season. Oviedo, Fla. (June 13, 2017) – Duda Farm Fresh Foods is committed to giving back and giving access to America’s youth so they can enjoy fresh food that is nutritious and fun to eat. Through an established partnership with The Produce Mom, the 90-year-old company is planning to host a 12-week consumer promotion, The Snack League, which will bring the company to sponsor youth baseball and softball teams around the country. Oviedo, Fla. (Apr. 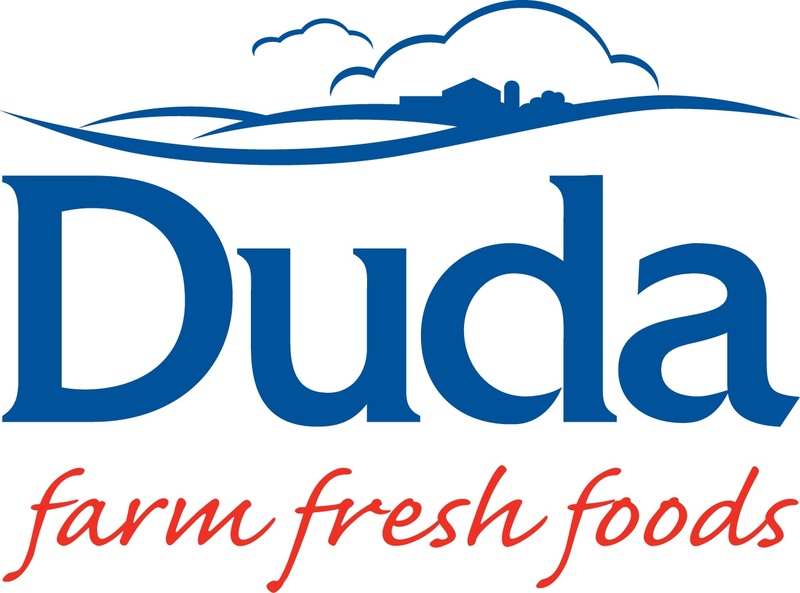 10, 2017) – Duda Farm Fresh Foods has long believed in the power of giving back, and the 90-year-old company makes no exception this year. Through a partnership with The Produce Mom, Duda Farm Fresh Foods continues its dedication to making a long-lasting impact with schools across the country, with the hopes of giving more than 31 million students the opportunity to choose fresh produce every day. Oviedo, Fla. (Nov. 28, 2016) – As the holiday season gears up, two things are certain – people will eat, and people will watch football. That’s why Duda Farm Fresh Foods is announcing the launch of its consumer promotion, Dip It 2 Win It!, which will give foodies and football fans across the U.S. the opportunity to win weekly prizes, including tickets to Football’s Biggest Game in February 2018. Oviedo, Fla. (Oct. 10, 2016) – Florida-based Duda Farm Fresh Foods is debuting a new limited edition Dandy® Celery Snack Cup flavor at Fresh Summit that speaks to football lovers everywhere. Their Celery and Blue Cheese Snack Cup, in partnership with Litehouse® Foods, appeals to millennials who want convenient, healthier alternatives to their favorite flavors at this year’s tailgating and football parties.